Want to build a strong online presence without breaking your bank? We have got you covered. In our today’s post, we will introduce you to some of the top cheap web hosting providers that promise to offer great performance, support and value for money. So, if you are looking for a reliable web hosting partner and want to balance price with functionality, you may look for these options. We couldn’t find a better name than HostGator to start this list of cheap web hosting 2018. 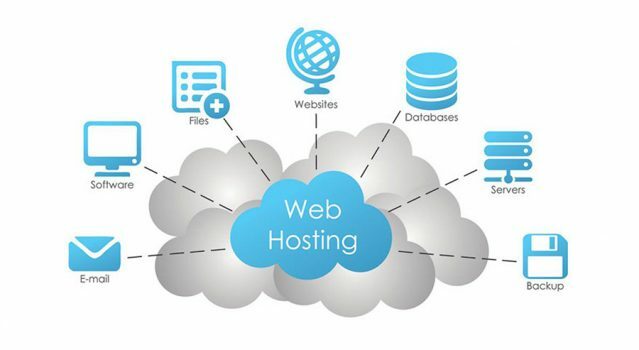 The undisputed king of web hosting, HostGator has a wide range of hosting services under the same roof. Speaking of their shared hosting service, which is the cheapest among all, starts at $2.75 for a month. With this plan, you can host a single domain name and enjoy unmetered bandwidth and free SSL certificate. Here it is worth mentioning that alone the cost of SSL certificate starts from $20/ per year depending upon the level of certificate. In addition to this, their shared hosting service gives you the option to choose between traditional shared server or power cloud servers. HostGator is not just cheap but user-friendly too. You can integrate WordPress, Drupal, Joomla, and other CMSs to your server with the greatest ease. Moreover, the provider is also compatible with hundreds of applications based on Apache, MySQL, Linux, and PHP. If you want to go with the name that has been in the industry for many years, you can’t go wrong with BlueHost. Launched in 1996, BlueHost offers a lot of great things that people often look for in a web hosting. For example, free Cloudflare CDN, Weebly site builder, and templates. Though their shared hosting has changed a lot since initial offering, it as affordable as it was before. Their basic plan starts at $2.95 for a month that includes a free domain name, free SSL certificate, single-click WordPress install, and 24/7 support. What else you can get at this price? Speaking of their customer support, you always have 24/7 access to their help center that has trained, in-house experts. Since Bluehost is offering 30 days money-back guarantee, you can sign up for their service without any hesitation. Hostinger entered into the industry with the name ‘Hosting Media’ in 2004. Today, it is one of the renowned cheap web hosting providers available. This Lithuania based company has over 29 million users in more than 178 countries. And the biggest reason for that is their exceptionally affordable plans. If we take a look at their shared hosting service, we find that it starts from $0.80 for a month. You will be surprised to know that this plan offers 10 GB of SSD disk, 100 GB of bandwidth, 1X processing power, easy website builder and 24/7 customer support. Moreover, the company claims to offer 99.9% uptime. Such great uptime at such an affordable price is really impressive. Talking about their premium shared hosting plans, they will not break your bank as well. With them, you get unlimited bandwidth, unlimited email accounts and can host a number of websites. Came into existence in 2001, InMotion hosting is the US-based provider serving thousands of clients across the globe. The provider has a solid lineup of services ranging from shared hosting to dedicated hosting. Their basic shared hosting plan named ‘Launch’ starts at $3.99 per month, comes with unlimited email, bandwidth, disk space, and a free domain name. It seems the company is offering a lot of stuff at an exceptionally affordable price. Free security suite that includes SSL certificate and hack protection. SSD storage provides speed up to 20X faster in comparison to tradition storage systems. Absolutely free cPanel and website migration. Free templates and BoldGrid builder. It is another popular affordable web hosting provider that you can settle down on. iPage has been around for 20 years launched in 1998. Currently, they are running 75% off on their regular price. So, if you will sing up now, you can have your online business go live for just $1.99. The good thing is that this plan has everything you may require as a website owner. It gives you unlimited disk space, scalable bandwidth, and unlimited MySQL databases. Moreover, their support team is quite responsive. You can access them 24 hours, all 7 days of the week. You may contact them via phone support, email support or live chat support as per your convenience. Are you looking for an affordable yet flexible package for your blog or website? If yes, you may go for the Basic plan of 1&1, starting as low as $0.99 for a month. This plan gives you Level 1 scalable performance along with 100 GB of storage, 2.5 GB RAM, 25 databases, 500 e-mail account, and 1 free domain name for 12 months. If you are running a website that needs to accumulate the sensitive information of users, you don’t need to be worried about the misuse of that information as it always protected by an SSL Wildcard certificate that you get for absolutely free. Like all above-mentioned web hosting providers, 1&1 also offers 24/7 support for your convenience. All of these providers have years of experience in the hosting industry. They have a strong customer base and offices across the globe. Though every provider is coming with attractive plans, you should choose the one that is going perfectly with your budget and requirement. If you need any kind of assistance, feel free to contact us. We would be glad to assist you.